Come October 3rd, Bournemouth-based UK rock band ‘Voodoo Vegas’ will be playing The Western China Music Festival’ in Dujiangyan China. They’ll be the first (and only) UK band to ever play this festival. 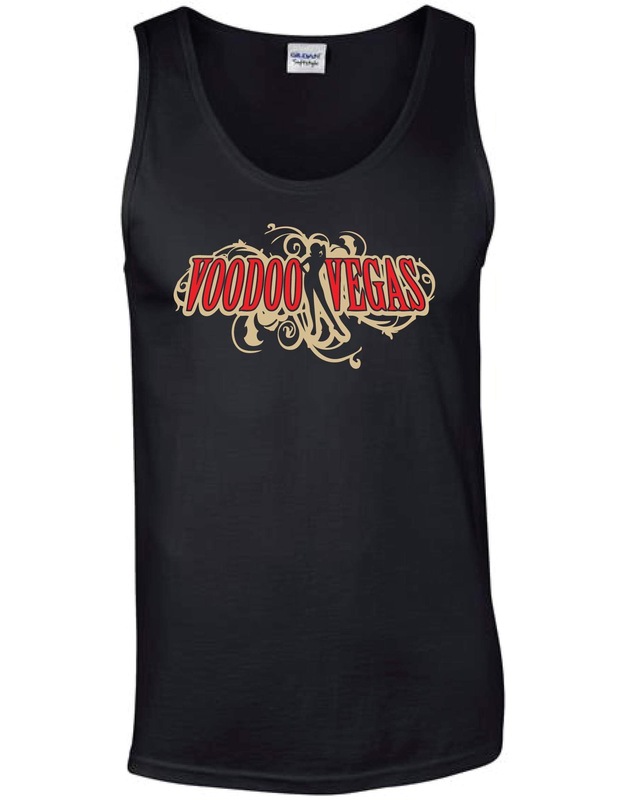 What’s more, Voodoo Vegas will be playing to a massive crowd, expected to number around 100,000 people: the biggest audience the band have ever played to! Voodoo Vegas are: Lawrence Case - Vocals / Harmonica; Meryl Hamilton – Guitar; Ash Moulton – Bass; Mike Rigler – Drums; and Jon Dawson – Guitar. Together they make up a high energy 5-piece rock band, playing all over the UK and regularly touring Europe, taking influences from classic and modern rock sounds. Now, Voodoo Vegas are extending their touring to the Far East! Playing China isn’t plain sailing. It has taken around 4 months to confirm the show after the festival initially made contact with the band, and making arrangements has taken time and effort. Voodoo Vegas have had to send all of their music to the Chinese Cultural Secretary, as well as every single lyric to every song they’ve ever written, in order to demonstrate to the Chinese authorities that their material has no controversial political overtones. Getting to China will involve a long journey, but the band can’t wait to get there and play in this fascinating country. The band’s appearance at the Western China Music Festival show comes in the middle of a run of UK and European dates from September onwards. Voodoo Vegas will also be playing 2 shows in Sweden (their first ever shows in that country) Then, later in October the band will be touring The Netherlands playing four dates with legendary rockers Y&T. Never ones to rest on their laurels, Voodoo Vegas have also just released their latest video, ‘Resolution’ (the 4th single from the band’s sophomore album 'Freak Show Candy Floss’), a colourful, dynamic performance of the song, filmed by HP Music (Harrison Perks & Craig Jones), that captures the band’s energy. Energy soon to be exported to China! Gold/Red Woman’s Top, high quality print on superb Gildian Shirt.